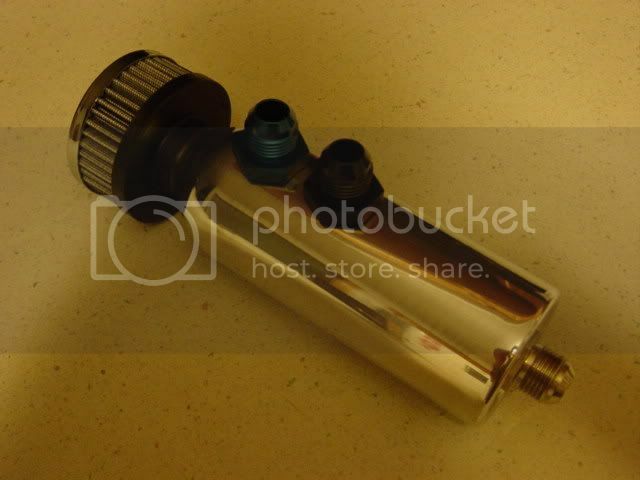 FS: 318ti Catch Can/ Oil Separator Complete Kit! There will be a matching vent tank coming soon. 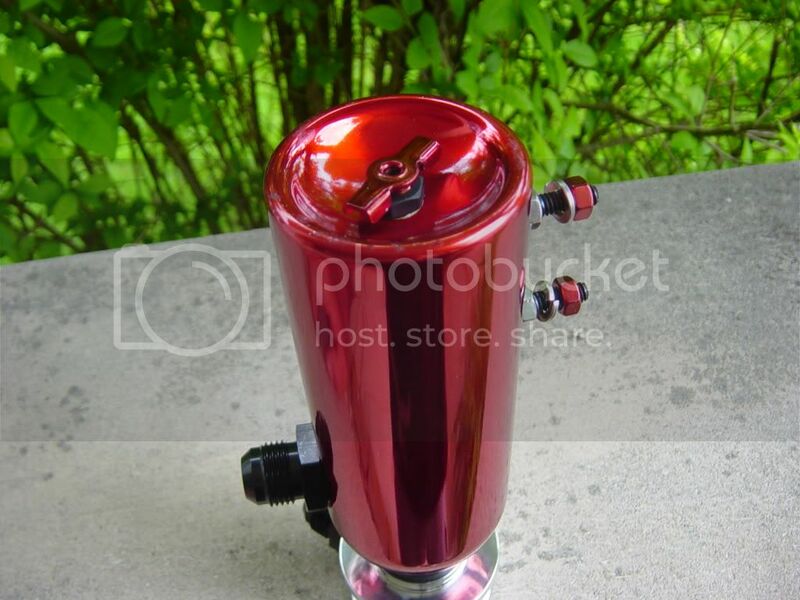 318ti SPECIFIC CATCH CAN/ OIL SEPARATOR KIT FOR SALE. Custom made for ALL aplications. 400 photos and climbing! Free bump. It looks like you do excellent work. As soon as it's in the budget I'll be contacting you to purchase one of these. THANKS! Feel free to send a PM of your set-up. We can get the ball rolling with a conversation about what you are looking for. In the meantime, good luck with everything. free bump for you here.. definitely book marking this thread. 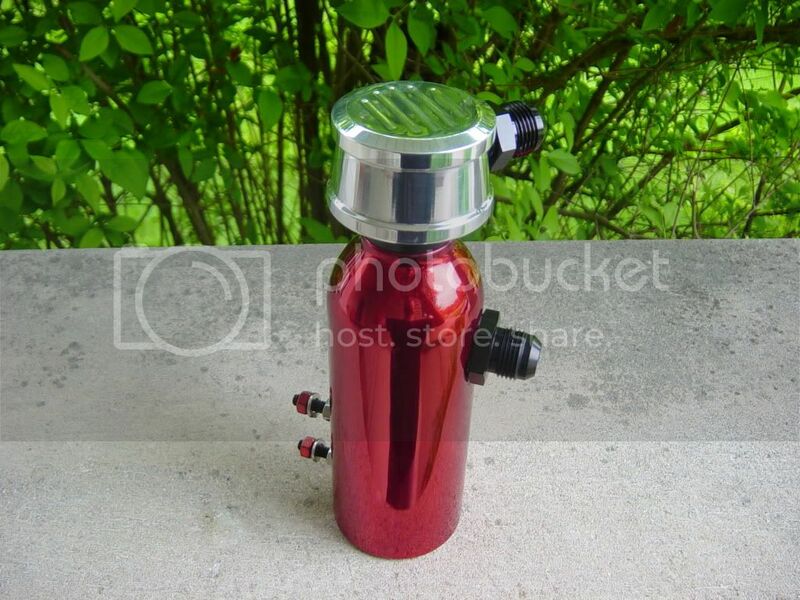 i need one of these for my 95 ti, and will also probably grab a coolant and catch tank for my soon to be 2jzgte powered z3 drift car, if i ever find the time to finish it. 3) Open to atmosphere with filter element head. 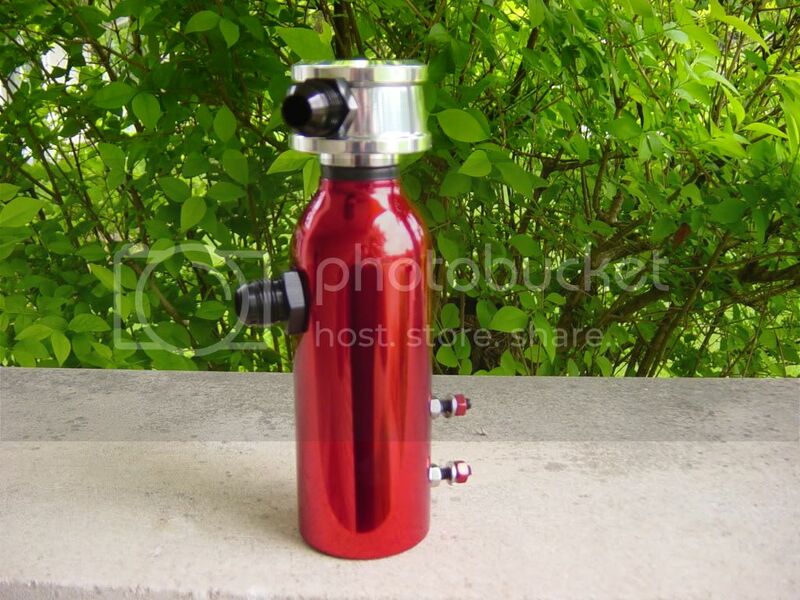 The tanks are all hand made and individually built. No two are ever alike and even with over 350 of them sold, each has its own "Signature". all I can say is sweeeeet!!!! I just noticed you are in Elkhart, IN ! Do you ever make it to Indy? I live in the city. I'd love to meet and get one in person if you do...if not of course I'll order...just got a good paying job, so one of these is in the near future budget. I have a 1997 DASC ti and am looking for your recommendation on which one I need. Thanks! I will have some more photos this weekend. 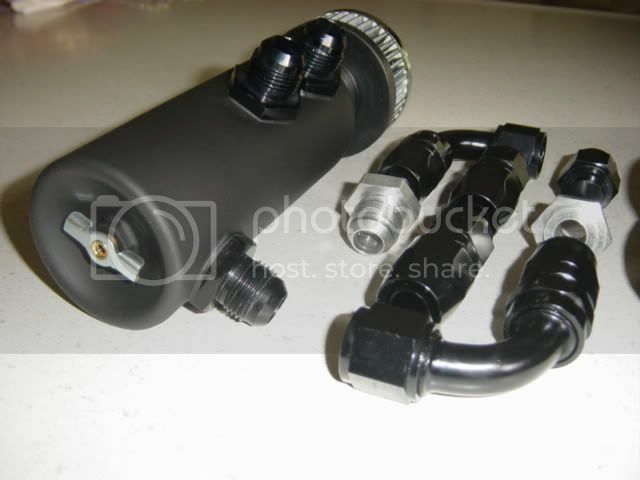 I am using Earls Pro-Lite hose to make the connections. 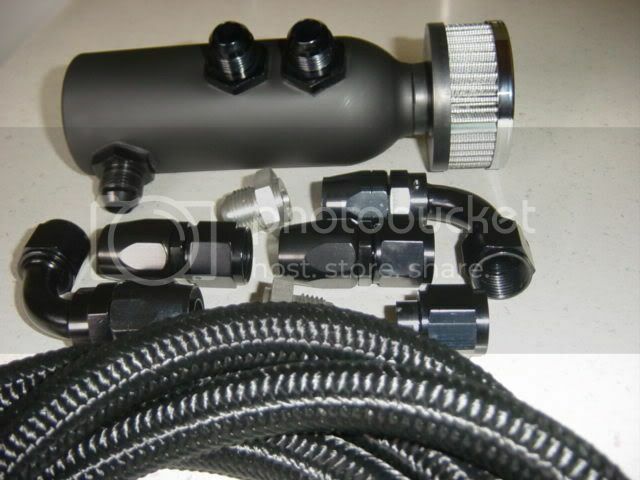 The upper vacuum hose attaches to the plenum spacer for a vacuum source. This actuates the check valve. The lower hose of the catch tank attaches to the valve cover. This is the inlet for all the sludge and crud. This is a AN-10 size fitting. 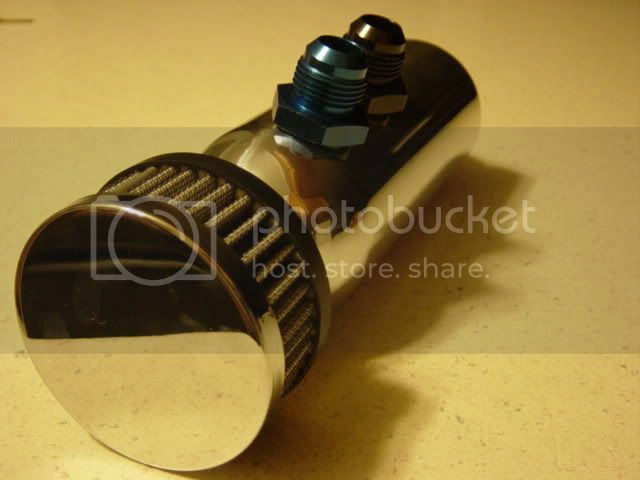 Here are some photos of the billet head and the craftsmanship that goes into the check valve housing. A few added touches. Brushed look on top and sides with a polished center. Replaceable valve with snap ring. 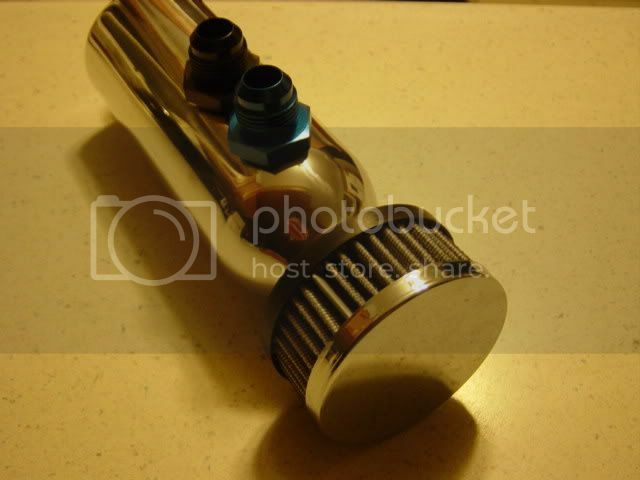 AN-10 hose from valve cover to the lower fitting on the catch can. 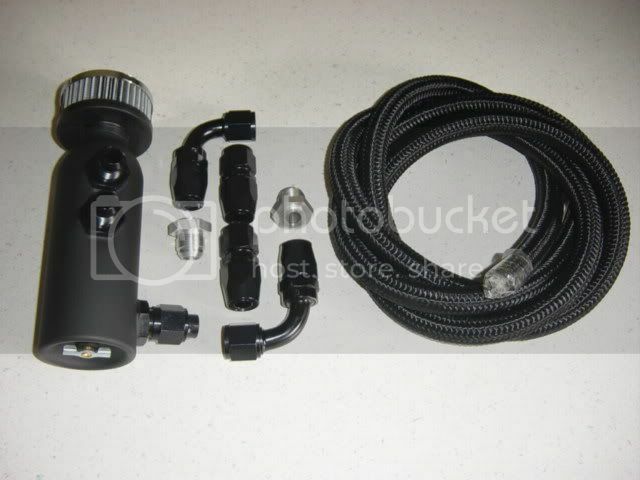 I am using Earls Pro-Lite braided nylon and Earls Hose Ends. With everything put back together, you cant even tell its there. Very stealthy! 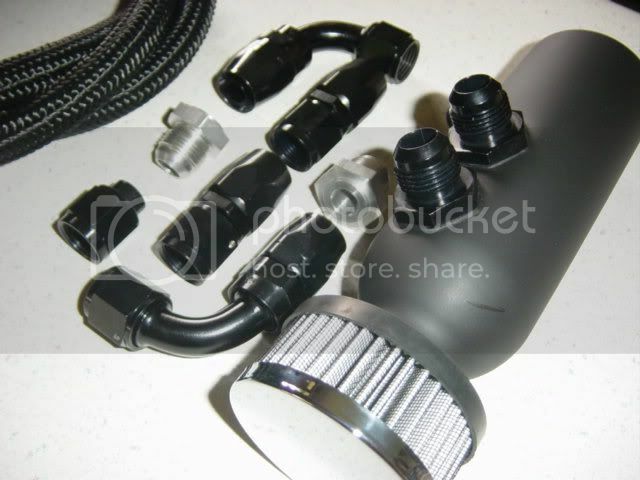 Does the kit include the adapter for the plenum spacer? Where did you get the idea to paint your intake fins?